The new Kubix Prime Whirlpool from the Jaquar Group is an ideal blend of quality, design and fits all kinds of contemporary bathroom spaces. It comprises eight water jets, 16 air jets, four back jets, and slim and flat-water jets that are electronically controlled. 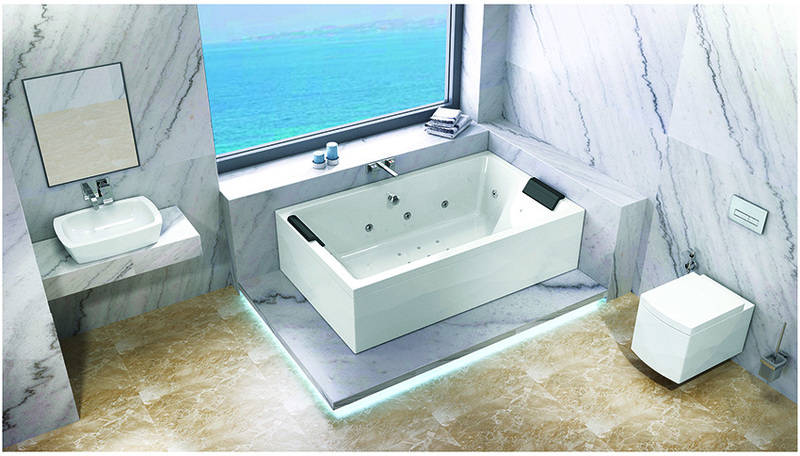 The water jets on the sides, back and foot of the bathtub provide an ultimate experience of massage therapy. The whirlpool comes with a safety vacuum breaker where the motor switches off automatically in case of blockage in the suction point. Other features such as no bacteria formation, environment friendliness, 3-tier testing, ease of use and chromotherapy makes this product ideal for every home.